Car drives well. Most miles done commuting to the city. Sunroof does not work, but it is sealed and does not leak. A bit of front end damage which has been mostly repaired (you can hardly tell). Has a brand new Alternator, Thermostat, O2 Sensor and Gas Cap. Recently upgraded Brake Pads and Rotors. 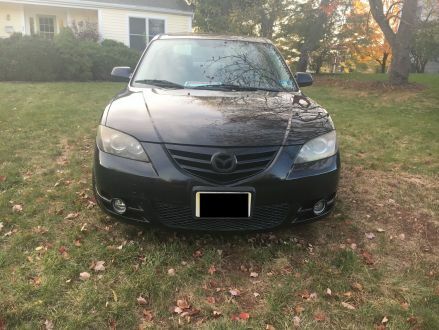 A great cheap car, it has been taken care of and is clean. 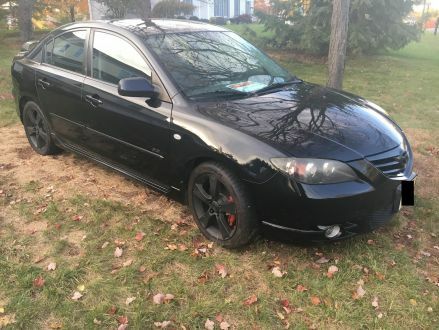 Since this car is 10 years old, it obviously has a few scratches, paint chips, and rust. But it still looks great! FOR SALE. 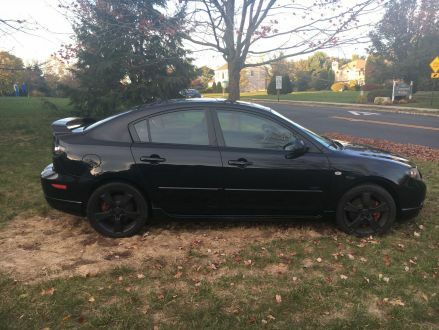 This is a Black 2006 Mazda 3 Sedan 2.3L S with Black interior, Automatic transmission, Front-Wheel Drive, and a 4-Cyl. engine. 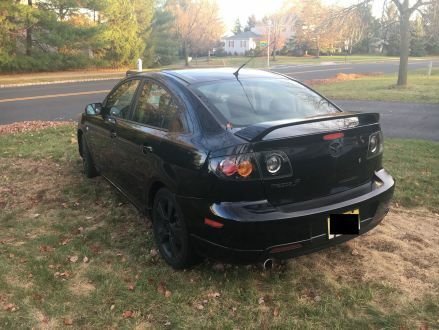 It's in Clean condition, with 208,000 miles, and located in Flemington, NJ.